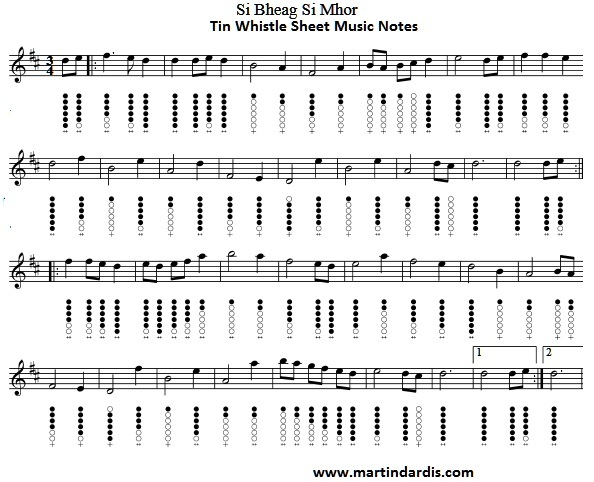 Si Bheag Si Mhor Tin Whistle Sheet Music and banjo tab. written by Turlough O'Carolan in 1691 and still played to this day. How many of our songs and tunes written today will stand the test of time as this tune has ?